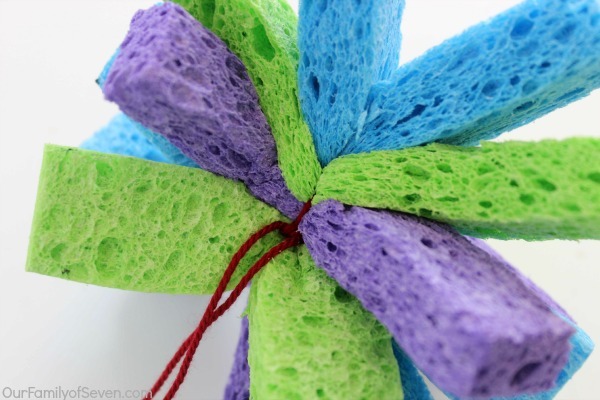 Learn How to Make your Own Sponge Water Bombs! 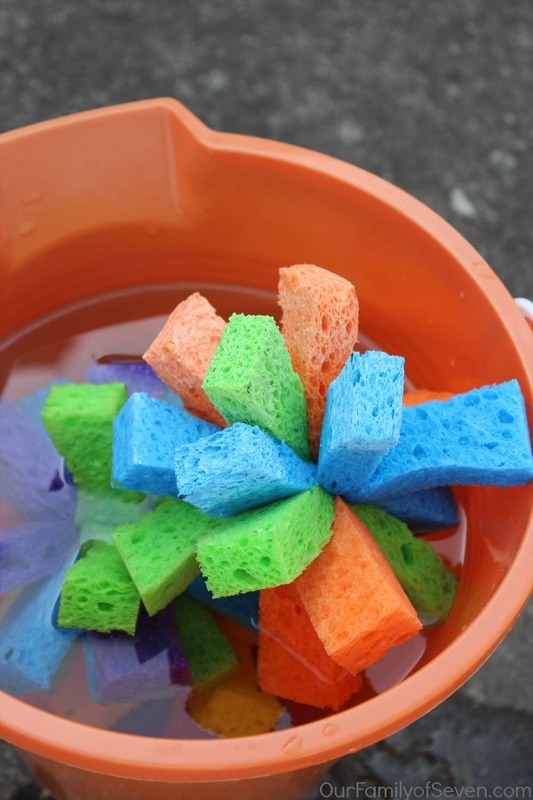 Sponge Water Bombs are an awesome alternative to water balloons! 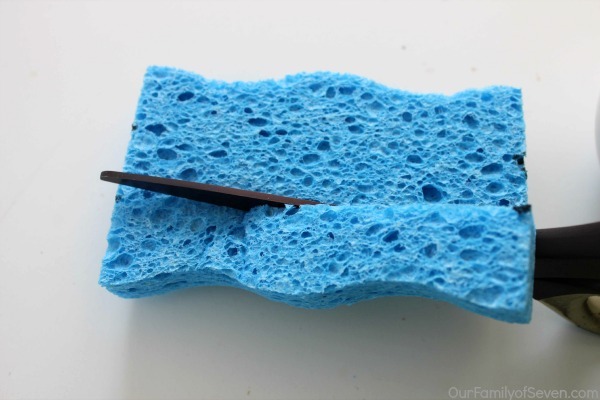 Super easy and inexpensive to make at home. They use less water and they eliminate messy balloon pieces in your yard. My boys are obsessed with having water fights during the summer. As soon as the warm weather arrives, they are searching for their water guns, water balloon launchers . 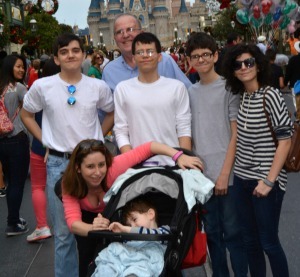 They do not stop there… They even like to have water fights with the hoses. If I had a dime for every time they interrupted me while doing dishes to just fill another couple balloons, I would be rich, ha ha! This year, I plan to encourage them with a bit of a different water fighting activity that will not make my water bill sore through the roof or leave pieces of balloon around our home. 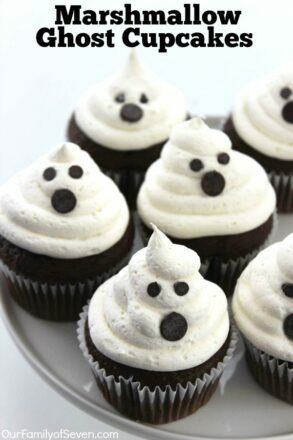 I made them some Homemade Sponge Water Bombs. This momma is gonna give her kids Water Bombs! 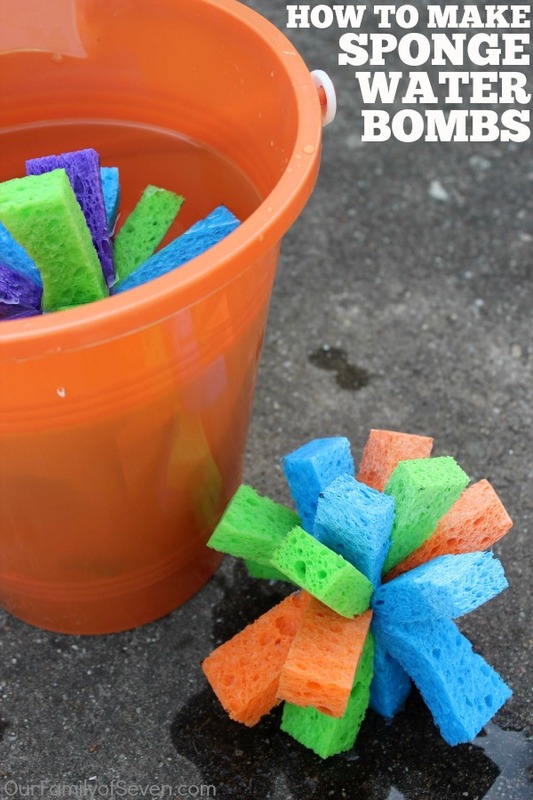 Making these fun sponge water bombs is so super simple and inexpensive too! 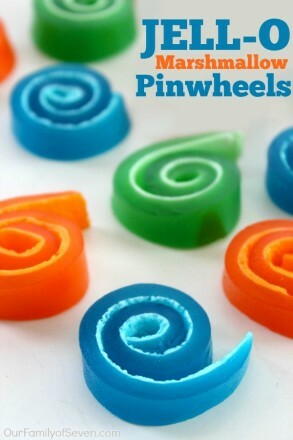 With just a couple of supplies, you can make a batch for the kiddos to use all summer long. I really like that these water bombs are reusable and will use less water than the traditional water balloons my kiddos usually use. 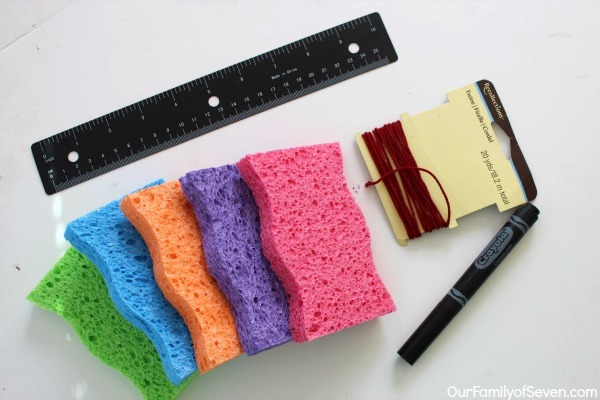 Grab your handy dandy ruler and mark off little marks at the end of each sponge to create 1″ strips. Cut your strips. Stack your strips three high and three wide. Be sure to mix different colors to create colorful bombs. Wrap your string down the middle around your stack. After you have your string even tie a knot VERY tight. Double knot a few times (would that be called a triple knot? lol). 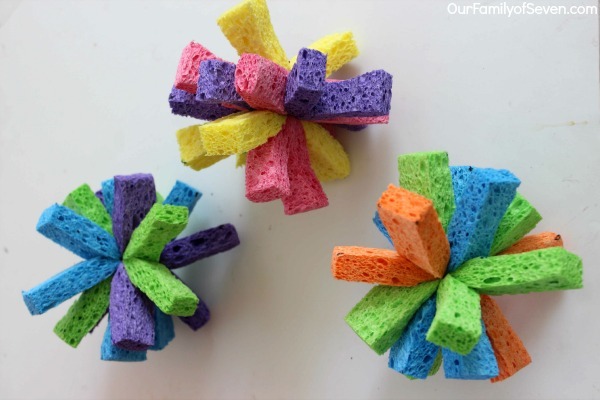 Snip off the ends of your string and these bombs are ready for some water play! I told you these water bombs were super simple. I wasn’t kidding. These are going to make for some SUPER fun for my boys. 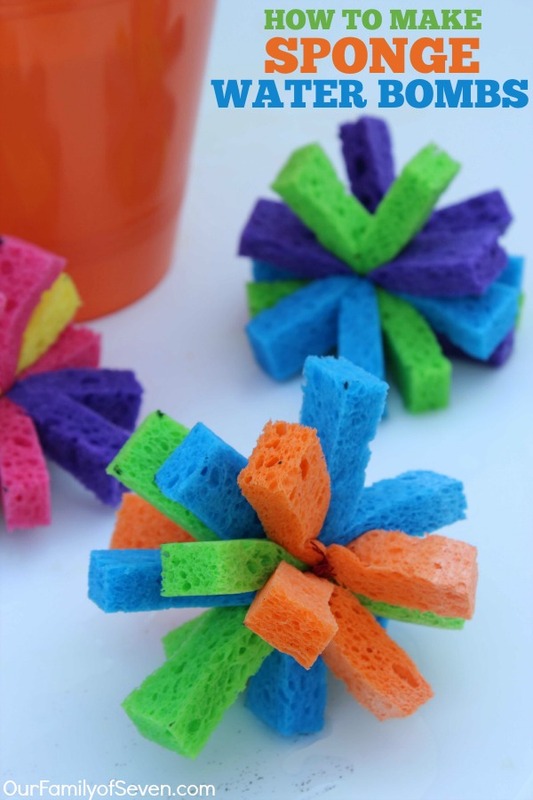 Do your kiddos enjoy a good water fight? 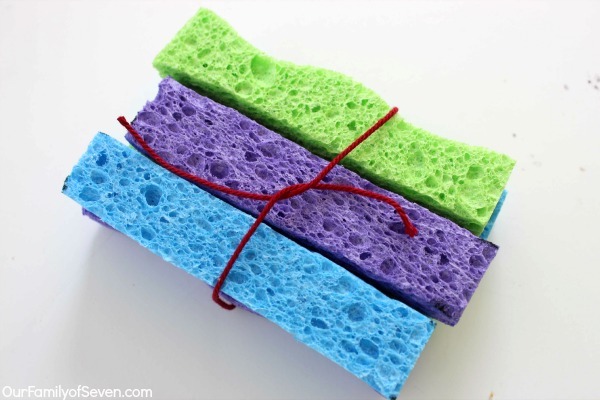 Have you ever had to clean up all those yucky balloon bits from a water balloon fight?